Valentine's Day is just a few weeks away. Why not show the world your love by wearing your heart, literally! 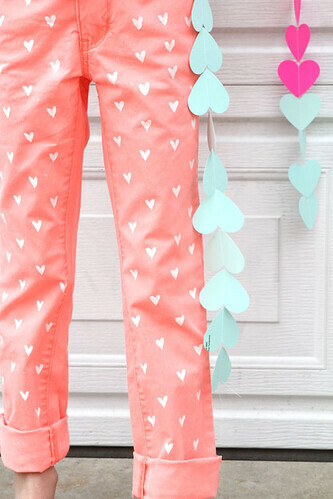 Check out some of our favourite DIY Valentine garments. 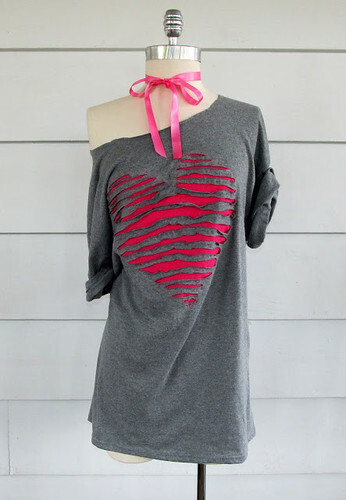 Kittenhood has a quick and easy tutorial for a cute upcycled heart t-shirt. 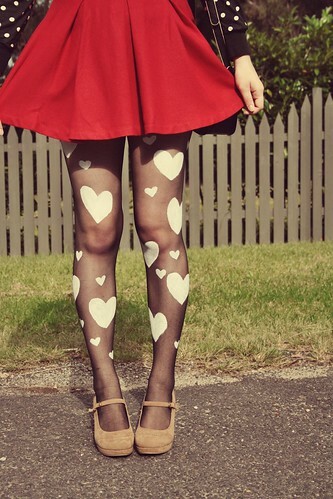 The Pineneedle Collective shows us how to print love hearts onto our tights! 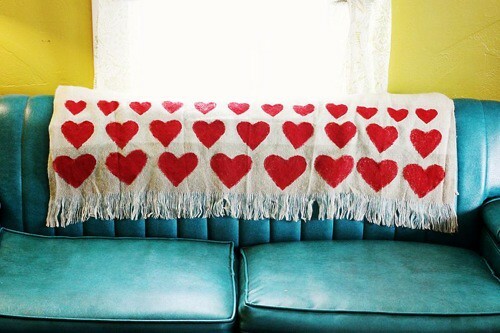 Print your own heart scarf/throw using this tutorial from Girlscene. 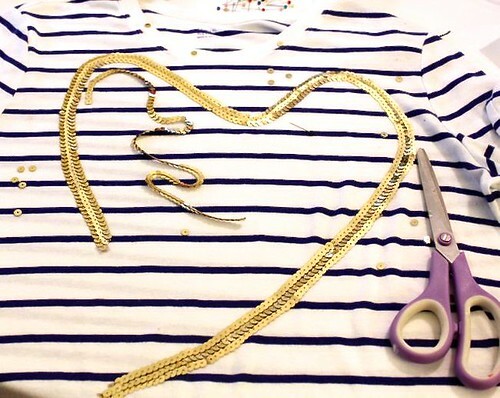 Jazz up a plain t-shirt with some sparkles! Henry Happened can show you how. Make the Sweetheart dress for sweet little girls. Find the pattern at Go To Patterns. Wobisobi restyles a t-shirt using scissors, a scrap of fabric and some simple stitching. These stenciled jeans are super cute! Tutorial over at The Love Of. 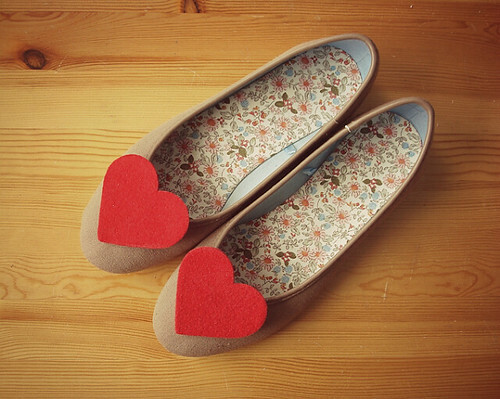 Transform your shoes with some felt and clips! Tutorial at Bodkovo.